✅ Trip Verified | Murmansk to Moscow. I have been flying Aeroflot frequently since 1995 and clearly seen the huge improvement taking place during that period. I am a Gold Member of Aeroflot Bonus and have been that several periods during my 11 years membership of the program. It is with disappointment that I note a decline in customer centricity since 2013-2016. Especially the last 2 years the airline have become a “paragraph referring airline”. Instead of being flexible with access to lounges for Gold and Platinum members with one guest (spouse) and child (non-teenager), they follow their rules and deny access in most of the cases. Big difference compared to few years ago. The same rigidity to upgrades to Space Plus in economy class, even with half empty planes. Snacks on short flights (1-3 hours) has been the same boring dark bread sandwich for over a year. When flying 6-8 flights per month, this sandwich loses its attraction after a few months. No variation at all. When addressing these issues to Aeroflot Bonus customer feedback desks, the same mechanical defense explanations appear, stating that “crew is just following rules” and do nothing wrong - or, “thanks for your quality feedback on meals, we will review this”, but nothing happens. 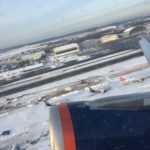 Aeroflot until a year ago, was an airline I strongly supported and actually also promoted as much better than the reputation, but my experience in 2017-2019 have been flavored with negative impressions. Especially rude and negligent response on claims, from staff at airports and customer feedback centers. "a connecting flight was missed"
Not Verified | London to Hong Kong via Moscow. 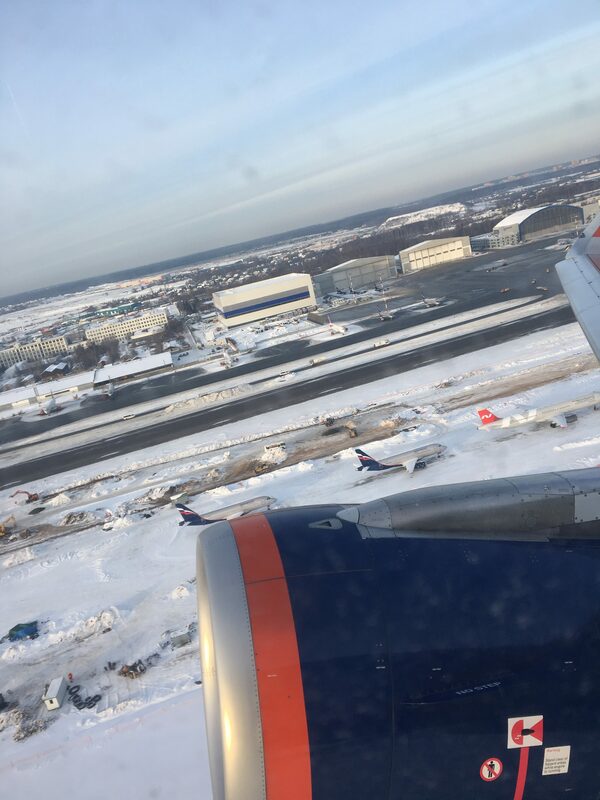 My daughter flew with Aeroflot and due to horrendous queues at passport check and security, a connecting flight was missed in Moscow. She alerted staff at security check and was told to push to the front. Other passengers pushed her back shouting that they too were about to miss their flights. WIFI is almost impossible to use at Moscow, so without communications she was very upset to have missed her flight. The staff at the airport were rude and unhelpful telling her it was her fault that she missed the connection, however with hundreds of other people all missing connecting flights it would appear not. She had to queue for another hour just to talk to customer service. With no other options, we had to book her another ticket at considerable expense and then told that her return flight was invalid, due to her missing the connecting flight. So yet another expense booking her flight home. One of the busiest times of the year, you can imagine how much money we have spent on these flights. Response from customer service took exactly 1 month. A long winded message to say, she checked in at Heathrow accepting the transit time and ticket conditions, so there is nothing they will do. ✅ Trip Verified | Barcelona to Ho Chi Minh City via Moscow. Our flight from Barcelona to Madrid left 30 minutes late, our layover was only 1 hour and 45 minutes so we were very worried. After landing we have to wait about 25 minutes to get off the plane, we missed our connecting flight. 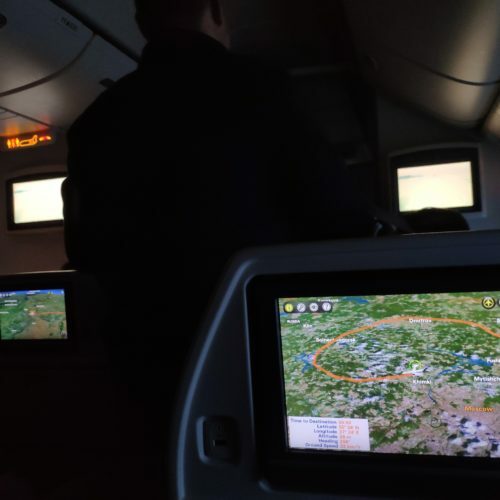 Ground staff and others on a different BCN to Moscow flight confirmed that over 5 hours is the normal flight time so the information they provide you is incorrect. We wait in line to get our flight changed to the following evening at 8 pm. Now it will not be direct, we must connect in Hanoi. We are told to come back at 10 pm for information about a hotel. 10 pm: long line to get hotel vouchers for about 50 people. 10:30 pm: Everyone has their hotel vouchers. We all stand around for 30 minutes and leave to go to the hotel. But there is only one lady checking passports so this takes 45 minutes. 12:15 We are on the bus. This ride is about 5 minutes but it takes almost 1 hour because the bus stops at a gate for about half and hour and after we arrive at the hotel we are not allowed to get off. 1am we arrive at the hotel and after being escorted to a desk there is one person checking people in, very slowly. 2am we are in our room. The hotel is okay but we are not allowed to leave our room, meals are delivered. The next day, we board the flight and have never seen such chaos. People are all trying to fit bags that won't fit. Overhead bins are shut that were empty. After a two hour delay, we finally take off. We can barely make our connecting flight. "spend 14 hours in transit"
✅ Trip Verified | Vienna to Tehran via Moscow. Because of delay in Vienna I lost my connection in Moscow and spend 14 hours in transit, then re-routed to fly to Istanbul and to Tehran after waiting couple of hours in Istanbul too. They gave me no accommodation and only 2 meals, however, after my complains. My English skills are not perfect but I think people who want to work in airports and airlines should be more proficient in this language. I will never recommend this airline. "Delayed flight by 19 hours"
✅ Trip Verified | Colombo to London via Moscow. Worst airline I've travelled. Delayed flight by 19 hours as missed connecting flight. No hotel. No representative from the airline. 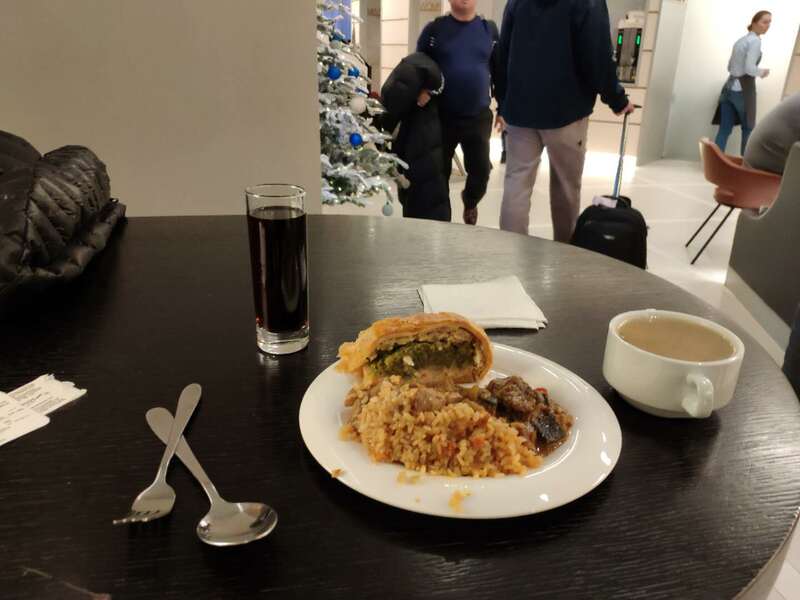 All we were left with was running around with the poorly trained Moscow airport staff who most were hiding from customers as they did not know what to do. ✅ Trip Verified | Beijing to Barcelona via Moscow. Beijing to Moscow in Premium economy, and from Moscow to Barcelona in normal Economy. The second flight was ok and normal, but the first one are both good and bad. Good point: Seat was really good, very wide and comfortable. I can lay down in a much bigger angle than economy and there is a footrest come out from below the seat. Food was really proper food. I attached picture below, they are served in real plates, not in plastic or paper box, and real knife and folks, not plastic. 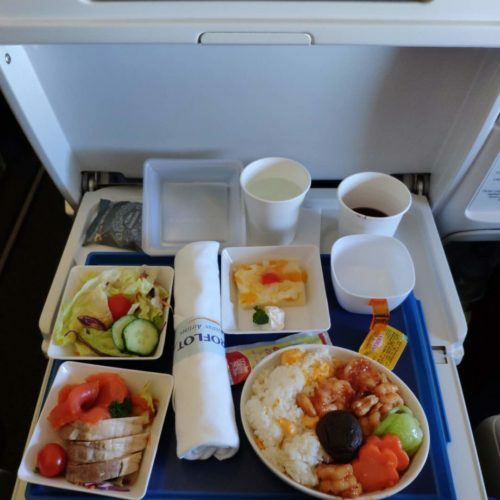 There are 2 meals during flight Beijing to Moscow, both are very well cooked, one main course with salad, side dish and desert. As an Elite Plus member in Skyteam from another company (Not Aeroflot), I can also enjoy the lounge from Beijing and lounge from Moscow. I attached the photo of moscow lounge, very good food, not very crowded. Negative points: Food was good, but too much salt in the main course. But overall is ok. When I check in at Beijing airport, and showed to the desk my Elite Plus member card, to use the priority checkin desk, lounge voucher, and priority luggage delivery. The girl in the counter spent around 5 mins to call China Eastern to validate if my Elite Plus membership are real. On the phone, she said my account number and my name, and ask if the name matches and which level is this number, even I already showed to her my physical membership card and also the online checkin result already showed I am ElitePlus. I asked why and she told me because many people are using fake cards and account number from other people to get the privilege for free, they have to double check manually. I can't believe they have to check it in this way, wasting time for everybody. They should have an easy IT solution through Skyteam. 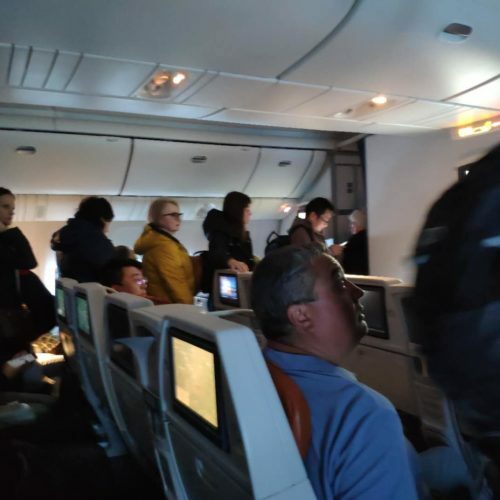 Biggest issue: After landing in Moscow, while the aircraft is still running, people rushed from the behind and crowded the aisle. Nobody from cabin crew tried to stop them. "luggage ended up in Cairo"
✅ Trip Verified | Stockholm to Hanoi via Moscow. One of our luggage ended up in Cairo. Had to wait 3 days to get it in Hanoi. 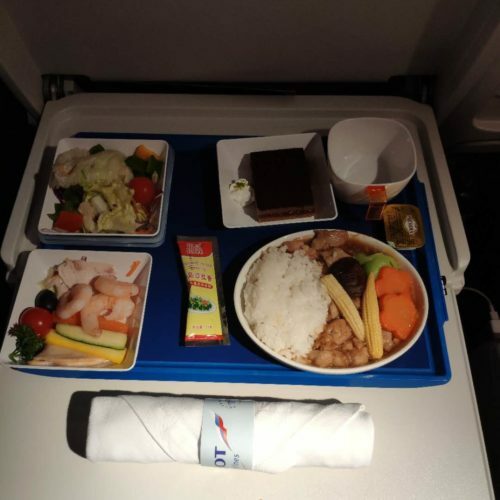 Food terrible on flight to Hanoi. Food very good on Hanoi to Moscow leg. Missed our connecting flight to Stockholm on the way back because of some confusion, our fault. We were told we had to buy a new ticket. Had to pay €450 each on Finnair to get home a day later. "We have to wait for 14 hours"
✅ Trip Verified | Miami to Athens via Moscow. The flight was delayed around 1 hour, we were making rounds for half an hour because of airport traffic. We landed 18.20 and the boarding for the transit flight was at 18.35. We got stuck in the security check. Only 2 lines for all these people. In these situations they should help us to pass faster. We arrived at the gate at 19.00 after running for 15 minutes between terminal d and f. The plane left with not notifying anyone. You should be ashamed doing this in such a day. It's new year's eve. They changed our tickets to Athens for tomorrow at 9. They gave us also a voucher of 1000 rub, (12 euros) for meal. Now we are waiting to a line of 30 people to ask about overnight accommodation. We have to wait for 14 hours until next flight. Thanks Aeroflot for spending new year's eve far from my family. "transit in Moscow airport was chaotic"
✅ Trip Verified | The transit in Moscow airport was chaotic. Massive non-organized queues of more than one hour the made at least 150+ people to miss their following flights. Another chaos at the Aeroflot counters where I had to elbow and push for two hours to get my boarding pass. Not enough staff for the amount of people stranded. The 3 poor girls behind the counter did what they could. Again, unorganized queues and lack of sensitiveness toward families, children, elderly people who could not struggle to be near the counter. We all had to spend the night in the terminal. Oh yeah, they lost my luggage which I got 5 days later after an unanswered email from the Aeroflot lost and found department. ✅ Trip Verified | Tel Aviv to Colombo via Moscow. My daughter was scheduled to take off at 13:15 but due to a delay of more than three hours on the flight, it missed the flight connection and stayed overnight in Moscow. The problem is that her case with the two surfboards did not reach Moscow and cannot be found. Because of the language limitations of the workers in the field she could not understand the fate of her baggage. One representative told her that the sails would go directly to Colombo. Of course, the two surfboards did not reach Sri Lanka. Then they were told that in Moscow and again after a long clarification they were not found in Moscow either. In another email, I was told that they were in Barcelona and wanted to know where to send them. Happy I gave them the address of my home in Sri Lanka. Yesterday I received another email, claiming that despite the previous email, they were not even in Barcelona. We do not have a place where the surfboards, my daughter is a week on a surfing trip without surfboard.